U.S. Will Lose 'All Credibility' If Congress Rejects Nuclear Deal, Kerry Says : The Two-Way Secretary of State John Kerry tells NPR that Iran would use the deal's failure as an excuse to enrich uranium. He also says efforts to thwart warming diplomatic relations with Cuba would hurt the U.S.
Secretary of State John Kerry spoke with NPR's Steve Inskeep at the State Department. Kerry said if Congress or a future president reverses a nuclear control agreement with Iran, U.S. credibility will suffer. "I defended John McCain because he's a war hero," Kerry told Inskeep. "And I think the comments were obviously inappropriate." But Kerry would not discuss previous Republican criticisms of his own war record when he ran for president in 2004. "The rest is ancient history," he said. 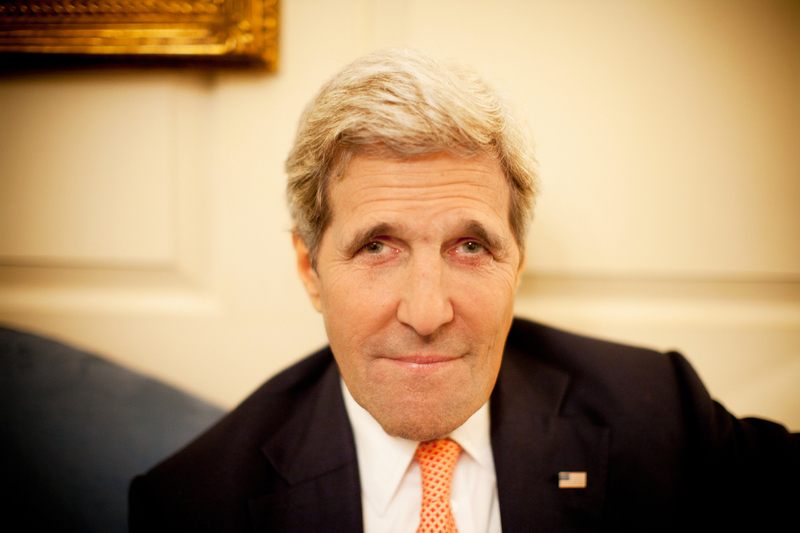 You can hear Steve Inskeep's interview with Secretary Kerry on Tuesday on NPR's Morning Edition.